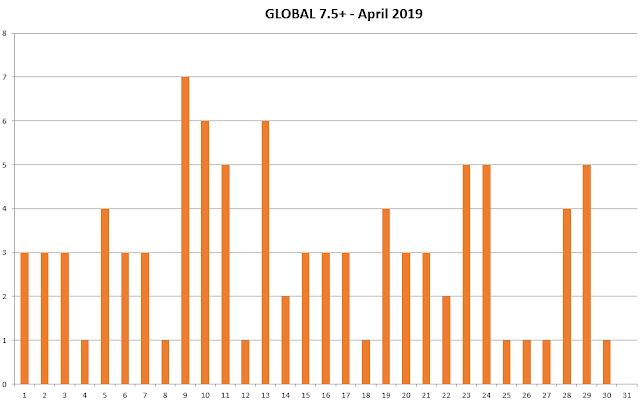 In the following diagram we can see Global Earthquake predictions for April 2019. This means earthquakes of >6R somewhere in the world. No specific location. ....Note that you should also cross check this chart with our LOCAL PREDICTIONS if you wish to home in further on the earthquake location. 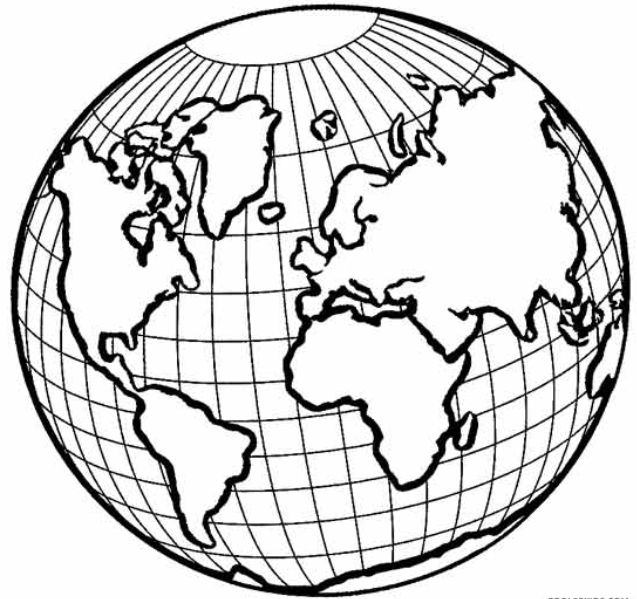 Furthermore you also must consider the planetary alignment posts we do We do many countries and if there is enough requests we may do others too. 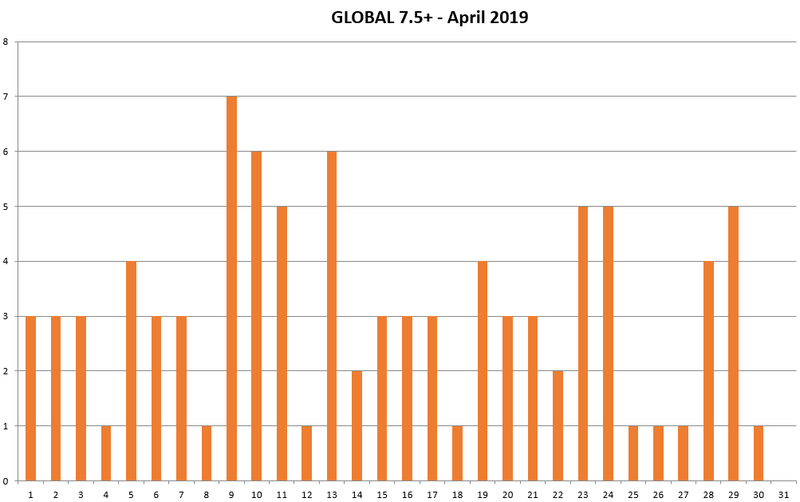 For this period we observe that there is a HIGH* probability to have an earthquake >6R somewhere in the world on 5th, 9-10th, 13th, 19th, 23rd and 29th April 2019 and smaller in other dates as shown below: (Note the scales are not Richeter nor logarithmic).